At Creative Contour we pride ourselves in the extremely high quality designs and installations that we provide both residential and commercial clients. Our process allows us to work in collaboration with customers from the initial consultation meeting all the way through to the maintenance and upkeep of the new landscape. Our team has years of experience, allowing us to handle the most intricate and large scale projects, ensuring customers don’t have to make sacrifices to their landscaping vision. We’re always up for a challenge and work hard to exceeded expectations. Our horticulturist /landscape designer will meet you at your home or office, listen to your ideas and answer all of your landscaping questions. After we’ve discussed your must-haves and gotten a better understanding of your needs, we will give you ideas and review concepts for the layout of property, pathways, retaining walls, shrub borders, driveway, shade trees or flower beds. We’ll help you target solutions for existing challenges and analyze the potential of your property, taking into consideration your personal needs and preferences. 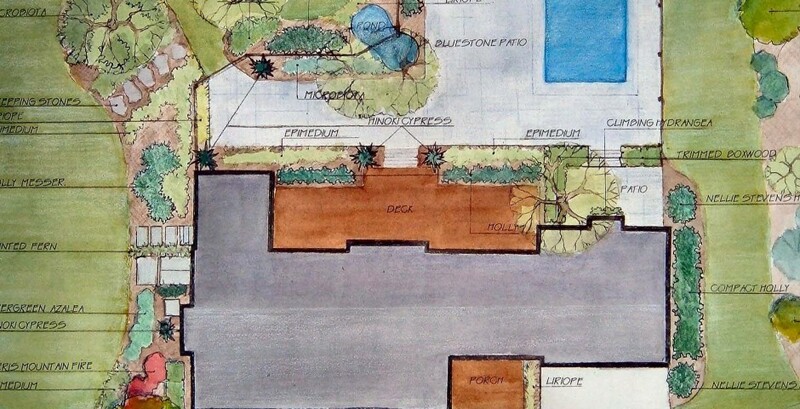 We’ll then create a customized digital design so you can visualize your new landscape before work begins. 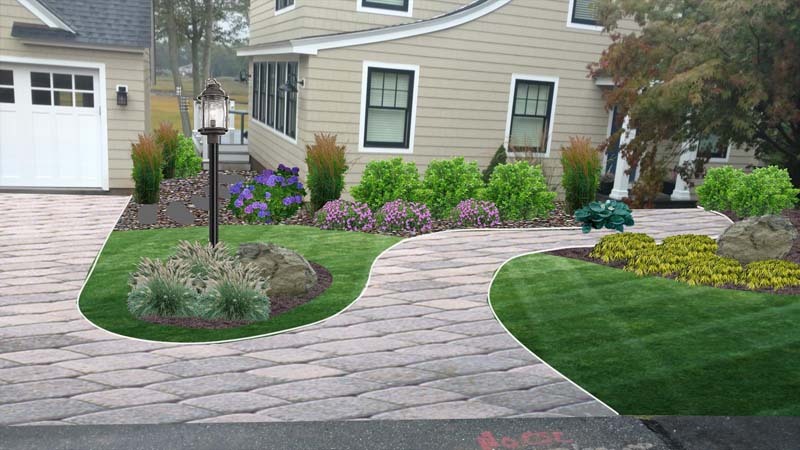 Our digital designs will allow you to see exactly how your vision will come to life, giving you the opportunity to change out plants, walkways and more before we even break ground. When it comes to implementing your landscape design, planting and gardening are at the forefront of making your property come to life. 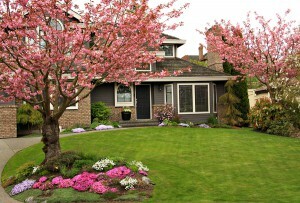 Our experts are specially trained to select the best flowers, trees and shrubs for your landscape, soil and climate. Do you have a favorite flower or tree? We can work with you to ensure that your landscape must-haves are implemented into your design, while offering suggestions and recommendations along the way. We can help you find answers to your gardening questions, such as when to prune, how to transplant, how to identify plants, how to improve soil and when your perennials are going to bloom. Answers will be specific to your needs, your plants and their environment. A landscape is not complete without a space to entertain and enjoy with family and friends. 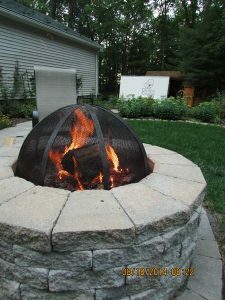 Our team of landscape designers and masons work closely to coordinate the implementation of gardens, patios, fire pits, fireplaces, walkways and more. 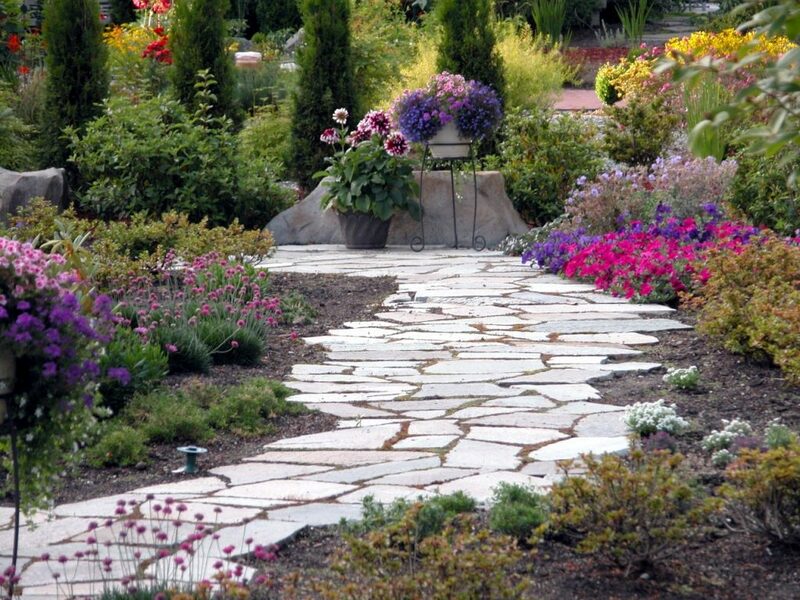 When it comes to hardscapes, nothing is beyond our capability! Want to see what we can do for you? Visit our Portfolio to see past projects. At Creative Contour, our work isn’t done once we finish your landscape installation. We also offer continuous maintenance and upkeep services for your gardens, trees, patios, walkways and more. Our seasonal preparation services will allow your landscape to flourish in the spring and summer and survive the cold winters. With our team of professionals, you won’t have to spend your weekends pruning and watering your garden beds, which gives you more time to enjoy your new landscape.